Really good week of running, probably too much running. First week in as long as I can remember that was 100% running with no hiking, biking, or skiing. Legs had a steady fatigue going but are finally starting to respond to three 60 mile weeks in a row. The week ended with the Redhook 5k and I'm happy to have that baseline moving forward into June races so that I can pace appropriately. Monday: 5 miles in the rain on the Redstone trails. Beautiful scenery and wish I brought my camera. w/Hilary & Squall. Tuesday: Track workout 10 x 400, 200m recovery. Really happy with this effort. We (Jim Johnson was pacing me since he wasn't feeling well) started with some 100s on/off for 800 to get the legs going then the fun really started. 76, 75, 76, 76, 75, 75, 74, 74, 76, 76. I've never done this workout on the track so it's a good baseline for my speed and indicates that I'm hopefully sub 17 for my 5k. 10 on the day. Wednesday: 10 miles on East Madison roads. Flat legs on a not-so-flat route. Took it easy with Hilary and neither of us felt great. Junk miles, base miles, whatever you want to call them, they are good for the long haul. Thursday: 12 Miles. It was supposed to be a tempo workout but on the warm-up we wandered up some snowmobile trails and next thing we knew we were 3+ miles into our run and the tempo was out the window. The snowmobile trails were in prestine condition so we kept exploring and found a singletrack trail. We started on the trail and the trail kept getting better and better. It's rare to discover new trails, especially with Jim who knows just about everything that Madison has to offer. Just minutes later we came to a signed junction and were blown away. There was an entire trail network that we had never heard of. Friday: 5 miles on the track feeling out the legs - conclusion, no where I want to be. Tired and flat. Hard to get sub 6min pace. Saturday: 6.5 miles with Jim in Madison. 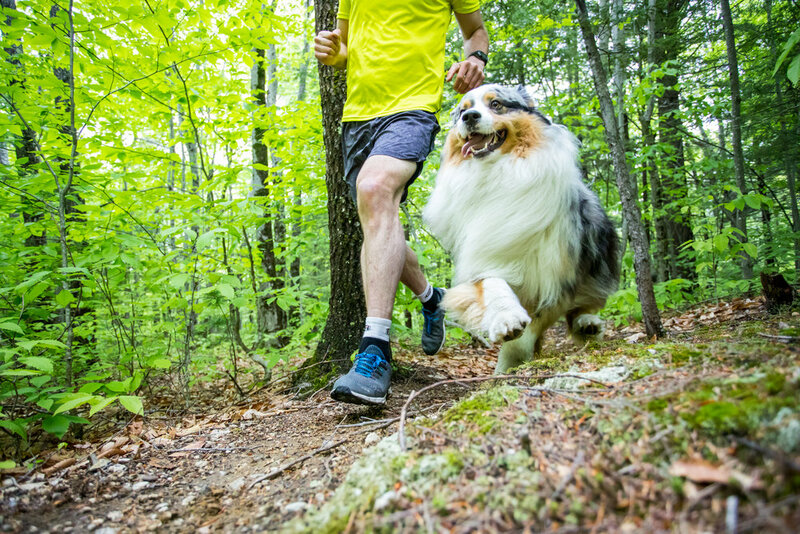 Sunday: Redhook 5k and shakeout in Sunapee. 15+ miles on the day.